For too many years the White Sox radio home has been signal-constricted, on directional-east-at-night AM-1000 whether named WCFL or WMVP, on degraded WLS or at the nadir, the network of low-wattage suburban AM stations (WTAQ La Grange) and an Evanston FM outlet in 1971-72. Only the team’s varying tenures on AM 670, be it WMAQ or The Score, offered a night-time skywave in all directions. But the announcement of their move to WGN-Radio on 720 AM is the best radio deal the South Siders could have come up with in the 21st century. 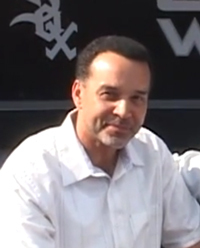 Darrin Jackson’s announcing presence will be no stranger to WGN-Radio after his early Cubs career was broadcast on the station. Better yet, WGN still has a panache from its No. 1-rated heyday, when only the half-hour “It’s Milking Time” farm show with Orion Samuelson and Bill Mason separated MacCormack’s 5:30 a.m. signoff from the 6 a.m. start of Wally Phillips’ all-time popular drive-time show. WGN may forever be associated with the Cubs, its meal-ticket programming most of the time from 1958 to 2014, when Theo Epstein’s rebuilding program hit hard at ratings and ad cash flow. Many critics laugh at WGN bailing out just before the Cubs surged upward — but all North Siders’ broadcast outlets took a ratings and revenue beating going through 2014. Both Tribune Co. suits in the early 1990s and later Cubs president Andy MacPhail new the team’s broadcast outlets, under common ownership with the team, would be hurt by a complete rebuilding program, and opted not to engage in the teardowns. Radio color man Darrin Jackson returns to the outlet that broadcast his early Cubs career in the 1980s. He’ll surely offer a different sound than Harry Caray doing the middle three innings. The Sox and WLS were an ill-fit, anyway. Parent Cumulus Broadcasting’s bankruptcy put the rights deal out of its misery. The station’s legendary background was Top 40, incompatible with baseball. That yielded to all-talk in 1989 without a big news or sports base. 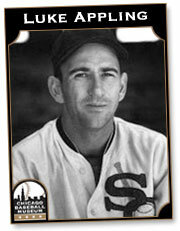 WLS did not hold the rights to a major Chicago sports team since the 1930s. Listeners were not attuned, so to speak, for sports on the (less) Big 890. The Sox on WGN, AM-720? Far stranger things have taken place as the internet, in which consumers expect free content — often un-vetted — anytime, anywhere, on any device small and smaller, has roiled all forms of media. Programming, formats and familiar, big-name personalities and managements have been coldly sacked. Strange bedfellows have popped up. Even with right-wing Sinclair Broadcasting closing in to assume ownership of all Tribune Broadcasting properties, WGN still has the format base to boost the Sox. News-talk programming without a political bent can feature Sox personalities and coverage outside the play-by-play. The station will feature a year-round Sox show. Cross promotion and piggybacking is possible with Blackhawks and Northwestern play-by-play. Sox announcer Bob Elson was a WGN mainstay in radio’s early days, and in 1940 summoned Jack Brickouse from Peoria to work at the station. The Sox are part of WGN’s ancient history anyway. 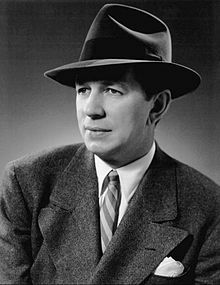 The station carried games in Bob Elson’s prime from 1927 to 1943, when commitments to the Mutual Broadcasting System’s afternoon bloc of children’s programs prompted WGN to drop play-by-play. The Sox moved to WJJD, with Jack Brickhouse filling in for an Elson absent due to World War II. Elson returned as Sox broadcasts first were aired on a combination of smaller stations, then for a long tenure on WCFL and its nighttime directional signal that could not be heard in DeKalb. Meanwhile, the Cubs went to WIND for a 14-run before returning to WGN for its memorable run. Other Chicago teams have called WGN home. The Bears have had two different runs on the station. The Bulls’ first radio outlet in 1966 featured home games only with the familiar team of Vince Lloyd and Lou Boudreau at the mic. Hawks home games aired in the late 1960s, with a young Rich King producing, signing on for the second period at around 8:15 p.m. due to owner Arthur Wirtz’s paranoia about too much free exposure of the Chicago Stadium contests. College teams have cast their fortunes going back decades with WGN. All kinds of new media have fractured the landscape. No one can predict what sports broadcasting will look like in the early 2020s, when the Cubs were projected to dip into a cash cow from their own TV network. Whoa, not so fast. Through the seeming chaos, baseball teams always make sure they still have a big-time, legacy AM radio outlet if possible. See the case of the St. Louis Cardinals, who partially owned a lower-wattage AM station before returning the broadcasts to their rightful home on KMOX, AM 1120, bigger proportionally in its market than WGN ever was in Chicago. The concept will require some getting used to. But anyone other than the most media-disseminated Millennial knows his/her way to 720 on the AM dial. Any port in a storm — yet the Sox have safe harbor at WGN.